The Reese top will add the perfect amount of fun to your closet! 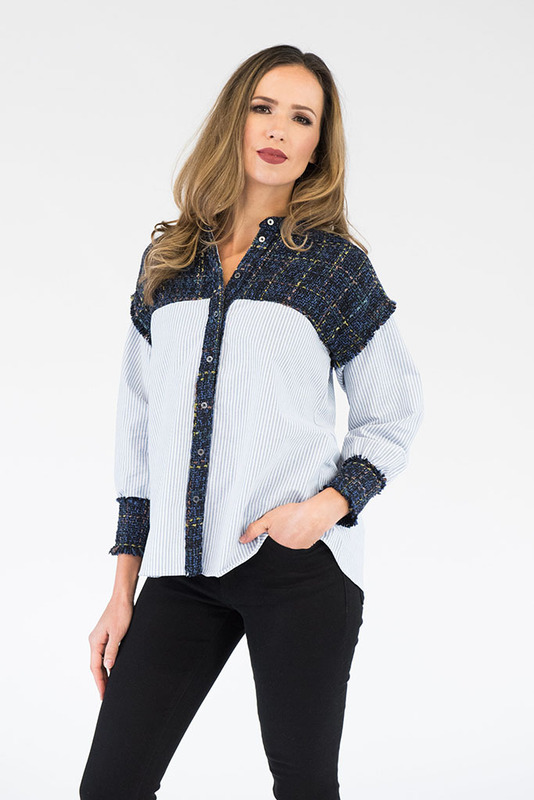 The Chanel inspired tweed detailing puts a chic twist on this striped button down. Wear alone tucked in or out, or wear it open as a jacket, pairs great with blue jeans!